Educators are often confronted with angry students. The challenge is to help “defuse” the student’s anger and help him/her transform the episode that triggers the anger into a “learning occasion.” The following sections describe ways to dialogue with elementary students and middle and high school students who are angry, so they can engage in means-end thinking and translate their anger into “problems-to-be solved.” The following set of guidelines illustrates how educators can teach Interpersonal Cognitive Problem-Solving so students learn to solve problems for themselves. Guide the conversation to how the child felt (feels) and how others may have felt (feel). The objectives of this initial phase are to 1) establish a collaborative alliance or mentorship with the student(s) and 2) help them “defuse” their emotions and (3) obtain a time-line of what happened, including the student’s feelings and thoughts that preceded, accompanied and followed the incident. This phase lays the groundwork for the Skills Training and Implementation Phases. alternatives and to assume more responsibility for their behavior. The objective of this phase is to help students practice, master and apply (transfer) what they are learning to their everyday experiences. How can school staff reclaim their objectives by conducting these three phases? The following guidelines offer examples of the Problem-Solving (Social) Discourse. The variety of suggested questions and statements should not be memorized by teachers, assistant principals, principals and school counselors. Rather, they should familiarize themselves with this form of discussing students’ distress and then experiment in its application. Look for “right” time and place to conduct PSD. Remove the youth from the group to do PSD. Listen attentively (Use nonverbal signs to convey interest). Follow the youth’s lead (Look for “openings” and use the youth’s words – reflect). Be supportive, collaborative and convey hope. Highlight “strengths” and coping efforts. Conduct PSD on multiple occasions. Insist that the youth talk NOW. Embarrass and shame the youth in front of others. Convey disinterest and a sense of being in a hurry. Put words in the youth’s mouth. Tell youth what to do. (Be a “Surrogate Frontal Lobe”). Lecture. Be judgmental. Use “should” and “should have” statements. Engage in “power” struggles. Force your explanations and impose your solutions. Use put downs, threats and directives. Give up. Blame the youth. Try and do too much at one time. in a supportive way acknowledge, affirm and validate feelings that are appropriate under the circumstances. help de-escalate (“drain off”) intense feelings. engage the youth in problem-solving discourse. understand the youth’s perspective by developing a timeline. nurture a collaborative and positive working relationship. I can see that you are very angry. Take some time to calm yourself down so we can talk about what happened. Your actions (how you look) are telling me that something is bothering you. Do you want to talk about it? It often helps if you can talk about what you are feeling. I hear you are really angry. I’m here to understand what happened and see if I can be of help. Why don't you take a moment and then we can try to work it out together. I want to understand what happened so we can work on it together. It is helpful to think about what happened before you talk. This situation is not going to go away, so let's talk about what happened and what you can do about it. I know it is difficult to talk about what happened, but I need to hear what happened from your viewpoint. It sounds like something has upset you; can we talk about it? We wouldn't be here if something didn't happen. Let's talk. Do you want to talk about it now or later? I have the feeling that our talking about what happened is upsetting you. It is okay for you to tell me that you don't want to talk. Maybe you can tell me the reasons you don't want to talk. Some students don't talk because they don't trust teachers (adults) and they don't expect them to understand or help. I see it is difficult to continue. I wonder if your silence is connected to something I said or did? If this isn't a good time to talk, we can find a time later when we can talk. Sometimes being silent provides an opportunity to think quietly to oneself about what happened and what can be done to improve things. I need to be able to understand what has been happening in your class (residence, home). What has been going on? It sounds like this is an ongoing problem, but let's discuss what happened today. This sounds like a serious situation. It calls for some serious thinking about what to do. I can see that you are figuring out how to handle things. Let me know if at any time I can be of help. I can see how upset you are, but your behavior doesn’t tell me what is making you so upset. When someone is upset, it is often difficult to remember what happened, but let's give it a try. Okay? I can tell you're almost ready to work on this. We can go at your pace. Let’s talk about what happened step-by-step. Tell me what happened. What were you doing? What was the first thing that happened? Can you remember how the problem got started? Tell me when the trouble began. Who was there? Who else was there? Were others involved? When you did ... what happened then? Where were you when he said (did) that? Did this happen before or after you ...? Tell me what you said, and how you said it. Then what happened to make her say (do) that? What did he do after you did/said that? How did you feel when that happened to you? What went through your mind at that point? You must have had some thoughts about that. What were you saying to yourself at that point? Were there any self-statements that led you to choose X? What thoughts go through your head when he says/does ...? Are you saying you thought ...? How did you show that feeling in your behavior? On a scale from 1 to 10, how (hard did you hit, ... loud did you yell, ... etc.)? How did others (offer names) react? … Then what happened? Do you have any ideas about what set you off in these situations? What do these situations mean to you? Did your reactions (feelings, thoughts) help manage the problem or did they make things worse? What did you (feel, think, do)? Did this increase your anger? How did you come to choose (decide) to do …? What happened to you as a result of your choosing to do …? What happened after you made the choice to …? Think about what you told me a few minutes ago. Where does this fit in? Let's review. Let's see if we can get the facts of what happened organized. First, everyone was supposed to ..., then ... Let's see if we can paint a picture of what happened. Is that an accurate description of what happened? What were you told to do? What was the rule you were supposed to follow and then what happened? I hear that you think it wasn't fair so you ... Is that correct? Now that you have a clearer picture of what happened between you and X, how do you feel about it? As best as you can describe, what went wrong? You seem pretty upset. When he did X that must have made you feel even more upset. I can see how upset you are. Why don't we talk about it and see if we can work it out. I can see you are angry. Can you solve the problem in a way that turns out to be best for both of you? On a scale from 1 to 10, how angry ... sad ... embarrassed ... afraid etc. were you? What I see is someone who is really upset. If we talk about it, it will help you feel better. When you do X, it tells me you feel upset about Y. There is a way to make it better. This just hasn't been a good day, has it? But it doesn't have to keep on being that way. What is most important in our talking, is you. What happens to you is most important and that will depend on what you do. I can see how upset you are, but I want you to know there are ways to solve this problem. I am sorry you got involved with X, just when you were learning to behave differently (see things differently). Your new behavior was just beginning to pay off for you. It seems like ... (you are frustrated, annoyed, angry). It sounds like ... (it made you angry when they didn't ...). What did you do when you were feeling .. (so upset)? What did you do with the feeling of … ? How did you show your feelings? Was he the great big guy who ...? Some people can really get under the skin of someone else. When friends (family members) do X, it is natural to want to get back at them (not back down, run away). When you do something for someone and they don't reciprocate, you feel betrayed. Understandably that makes you angry. Some problems seem so big that it seems as if no one can do anything about them. Sometimes things seem terrible, but there are always ways to make them better. You said that you were "dumb" (an idiot, had no hope), but what I hear between the lines is a message that maybe with some help things could get better. When he said X and you got mad and went on a rampage, it was like a little kid in you took over. It's okay to feel like this. It will get better. Other students who have had this same thing happen to them have often had the same feelings. Sometimes when people feel like X, they think ... (nothing good can ever happen; they might as well give up). But there is a way to work it out. Let me see if I understand. You did X because you wanted to … because in your mind you were trying to …. Is that what you are saying? Are you feeling disappointed about … ? It is often hard to hear new things about yourself when you are feeling so badly. Let me see if I got this right (if I understand this correctly). Do these seem to be the reasons you got so angry? So, what I hear you saying is ... Have I retold your story correctly? Is that a fair description (interpretation) of what happened? This is what I hear you saying. Correct me if I missed anything. You have described the situation clearly. Let's review what you have said. Could you tell me again about the part that X played? I'm not sure I fully understand what happened. Please tell me once again so I don't miss anything. Let me summarize what I have heard you say and you can correct anything I didn't get right. Let me say it back to make sure I understand and see if that is the way you remember it. You were upset and you made a decisions to … Is that correct? Every problem has a solution waiting to be found. Let's see if we can make sense of what happened to you. It is important for me to understand why you are so mad (angry, frustrated, sad). This is a difficult situation, but we can work it out together. This has not been a good day for you, but we know what's wrong so we can do something about it. We know what the problem is, but we have to figure out what we can do about it. When we talk together like this, we can work out ways to handle the problem. It sounds to me that you have a good understanding about yourself and what gets you into trouble. It also sounds to me that you were trying to make X mad (get him into trouble, get back at him). Am I correct? If you do that, what happens? Is that what you want to have happen? What can you do about it? I am ready to help. I am pleased that you felt comfortable (safe enough, had the courage) to tell me (show me) how you felt about this problem. Sharing that is an important first step in our working together. help the youth perceive the events from others’ point of view and recognize how he contributed, perhaps inadvertently, unwittingly, and unknowingly to the problem (behavior). recognize a possible behavioral pattern, if such behaviors have happened in the past. engage the youth in the problem-solving steps. foster a sense of responsibility. What do you think prompted him to say (or do) X? How do you think X (teacher, friends, parents) would describe what happened? Different people have different views of the same event. How does your account fit with that? Could she be thinking that you were ...? Is there a rule about this? What is the rule? So when you didn't do that (follow the rule), what did you think she would do? What were her options? Why do you think he was calling you ... ? What sort of reaction would you have (how would you respond), if someone did that to you? Do you think it could be possible that ... ? So, it wasn't just you that she was upset with? Can you think of a time when someone got angry with you? How did you feel when you were treated that way? Did you want to be his friend? Did you want to cooperate with him? How do you think people respond to you when you behave in that way? If X did not stop you when you were really angry, what might have happened? So by stopping you, she protected you from doing something that would have caused you even more problems. Sometimes teachers have to control you until you can control yourself. How do you think she feels about what happened? Who decides what consequences will happen? What options did he/she have? Do you think what you said (or did) had anything to do with the way he responded? Why do you think he got so mad about that? Are you sure that X wanted to … ? Are there any other possible explanations? Are there any other ways of looking at it? Could there have been something that set her off? But what do you think made it all fall apart today? If he calls you a name and gets you into trouble, then who is really in charge? It sounds like he really knows how to get to you. Do you think you were set up by him? Is a friend someone who helps you get out of trouble or someone who gets you into trouble? Do you think they are laughing with you or laughing at you? It sounds like you were trying to teach him a lesson (get back at him), hoping he would react to you. But look at what really happened. I think what we are talking about is at the heart of the problem. Do you agree? What was your goal in the situation? What did you want to have happen? How did your getting angry (losing control) help you get what you wanted? Did your anger help you achieve your goal? Is your anger getting you all you want? I can understand why you became angry and why it was so important to you at that time. I wonder if there are other things happening to you that could add to your anger. Sometimes what happens outside of school, like at home, can affect how you react in school. Sometimes people become angry because they are feeling afraid or sad or humiliated. For example, ... Has anything like that ever happened to you? Sometimes people become angry because they have had bad things happened to them in the past. They have been hurt and no one listened (understood), so they get angry. Has anything like that happened to you? It sounds like you have something else on your mind today that makes school seem pretty unimportant. What's bothering you? Has something like this happened in the past? How is this like what happened in the past? What is common about these situations? Is fairness (following rules, accepting feedback, receiving criticism, getting respect) an issue for you? In what ways? It sounds like the problem that got you sent here isn't the whole story. What else is bothering you? What did you do, if anything, to make the situation worse? What do you need to do to make it better? What is really important to you in all of this? What are the main issues you are struggling with? We have talked a lot. Some of this is really important. Let's list the most important points. What I hear in all of this is ... Correct me if I am wrong. Think about what you just said. What is the major issue? It sounds like you have two different things to handle here. They are ... and … Am I correct? I'm glad you value fairness. Fairness means going by the rules. That sounds like a guideline to live by. You are clearly a person who values your reputation. And when you feel you have been dishonored ("dissed") you get angry. Is that the way you see it? So talking about things can help. So does understanding what is really behind what you did. What are all the things you can do when/in … ? It sounds like there are a lot of ways to go about solving this problem. Let's figure out how many different ways you can think of to solve this problem (handle this situation). So getting angry (hitting others) is one way to try and solve a problem. What other ways are there to try to solve the problem? What choices did you have? How did what you said to yourself influence the choices you made? What happened after you made that choice? What did others (be specific) do? Can your self-statements help you make choices that lead to good consequences? That’s one way, can you think of another way? Sure, throwing an object (punching, cursing, throwing a temper tantrum) is one way to say you don't want ..., but are there any better ways to get your message across? Can you think of a different way so X wouldn’t happen? If you choose to do X, what do you think will happen? What do you think will happen next? Sometimes just plain calm talk can communicate ideas. Understanding one's problem is the first step in developing a solution. What could be your next step? This situation is beginning to make sense. When a person understands a problem, it is easier to solve it. I believe that in your own way you were trying to tell (say, show) X. Is there another way you could have done that? What else could you have done? Maybe there is a way for you to say the same thing without getting into trouble (without hurting others or hurting yourself). What could you say (do) differently? What is your goal in the situation? What are the different ways to achieve your goal? Is there anything else you could have done to handle the situation (what could you have done instead of ...)? Can you improve on that? What advice would you have for a good friend who has this same problem? That sounds like a solution (strategy) worth trying. What is a general rule that would help you with ... ? It sounds like you have a new plan for this situation. Do you think it would help if ... ? That is one solution to keep in mind. How will you remind yourself to do X? How can you remember to use what we talked about today out there on the playground? Remember, some of the solutions you have chosen have "backfired" in the past. What will you have to be on the lookout for so this solution does not backfire? What will you have to tell yourself to get through that situation? It seems clear that you have considered a number of choices. Which one do you think will work out the best for you? It sounds like you have thought through this carefully. Let's review your options and how they will work. What is your first step? Then what? When you are getting angry where do you feel it in your body? How can you (others) tell when you are first getting upset? Do you know when you are getting out of control or does it just happen? Are you telling me that you go from being angry to going suddenly out of control? Can you remember anything you said or did between the time you got mad and the time you lost control (had to be restrained)? So when you feel upset, what is the first thing to do? Then what? What would be a warning sign that this is a high risk situation? What would be a warning sign that you are getting angry? Highlight that getting angry and aggressive usually involves the help of others. Who is the “accomplice?” What should you watch out for (warning signs) in others? What would be a warning sign that X is getting angry? When you notice that he is getting angry, what do you usually do at that point? Do you really want to spend time with people who are willing to put you at risk (in danger, get you into trouble)? Can you tell ahead of time that this might occur? How? I have a thought I want to share, if that is okay. Do you think it is possible that X gets you to act out and gets you into trouble? What are you saying to yourself at that time? Let’s write down any ‘hot talk” you think or say to yourself in that situation. How do these “hot thoughts” cause you to feel/behave? You have given a very detailed and thoughtful description of your problem and some of the possible solutions you can follow. Let's review your choices. Of these options, which one do you think you will choose first? If you choose X, what does that mean? What can you do to make things better for yourself and for others? Do you want me to speak to her on your behalf or do you want to do it on your own? You are right! You now understand that you are responsible for keeping out of trouble. You have made good choices in the past. How have you gone about that? What are your choices now? Have there been other times when you have chosen not to ... ? How have you resisted the temptation to act out (get back at X)? I hope you can make a good choice for yourself and for others. Of all the things you could have done, how did you choose that way of responding? Are there less angry ways to achieve your goals and still feel okay? This shows us that you are beginning to take on more and more responsibility. Does that mean you want to …? It is too bad that you have given up your freedom. If someone else can make a few gestures (or say something) and you go off and lose control, then do you give your control to them? Being free is about being in control of one’s own mind, reactions, feelings and not putting yourself under the control of someone else. I want to see if you can be your own person with your own thoughts. Show yourself that you are in charge by not blaming your actions on someone else. It sounds like you can trick yourself into thinking that it is okay to hurt someone. When did you first have the idea that it was okay to …? Do you want to keep on tricking yourself or do you want to take charge and begin to …? Has anything like this happened before? In what ways are they alike? Is there a pattern here that we can learn from? If you had to teach someone to do this, how would you go about it? What do they have to watch out for? What if they did not want to get into trouble, what advice would you have for them? prepare the youth to rejoin ongoing activities. It won't be easy to do what we have been talking about. It won't be easy to do "X," especially when "Y" won't be interested (or when "Y" continues to tease you). You have a difficult situation, but it sounds like you have the right idea (that you are on the right track). This is going to take a lot of courage on your part. How will you begin? When he does X, that will give you an opportunity for you to practice Y. That sounds like it might work. What do you think? This is your chance to show the others what you have learned. You know what to expect when you go back into the class. It is going to be tough. How will you be able to handle that? What will you be on the lookout for? Like you said, this won't be easy. It will be interesting to see how you choose from your many options. I am interested in seeing what will work for you. This has been a tough talk, but it’s going to pay off for you. I know it will be tough to handle that, but I have confidence that you can spot (notice) when trouble is coming; you can catch yourself; you can notice when you are getting worked up; you can use your game plan and interrupt the cycle. You can take charge of your life so no one can get you into trouble, if you don't want them to. Do you think you can do this next time? All I can ask is that you give it a try. Do you think you can try this out? I have seen you handle problems like this before and you did them well. Is there anything you did in handling those problems that you can use here? Remember how calm you were when you told me about how you handled (anticipated) X? Do you think you can handle this one the same way? Successfully reaching your goal will take time. It won’t be easy or come quickly. It won't be easy to not allow them to get you into trouble, but I believe you can do it. I believe you are mature enough to face this and stay out of trouble. How confident are you (on a 0% to 100% scale) that you can do X? I am available to talk to you whenever you need me. That sounds like a good idea that might work. You have a good idea. What will you say to him (do) when you leave here? What do you think you can do to calm down? Do you think you can X? Is it difficult to just let your anger go and let bygones be bygones? Do you think about taking a time out … about compromising ... about negotiating? What can you do to prevent yourself from becoming angry? (from getting into trouble)? Can you remember a time when you were really angry and you did not take it out on someone? How did you feel about that? What advice would you have for a friend who has this same problem so he/she can handle the situation better? How will you remember (remind yourself) to ... ? What will you have to watch out for? What will you have to tell yourself in order to ... ? What will happen when you go home? How can you prepare for that? When you go back in, what do you think she will say? What will you say if they ask you what we talked about? Is there anything else you could say that might change her mind (change her behavior)? If you handled it that way, what would he do/say? Now tell me one more time; how you are going to handle (anticipate) any trouble? It is clear that you have a good game plan. When you go back in the classroom, she will be expecting an apology. What will you say to her? To be prepared is the best advice. Let's practice this. Imagine that I am "X," what would you say? (Use behavioral rehearsal.) Now that we practiced it, do you think you can try it on your own? Let’s practice together some of the other skills you have learned such as planned ignoring, use of “I” messages, time out procedures, relaxation exercises, etc. So if X occurs, then you will be able to Y. So whenever you notice, you will be prepared to do X. Who can you talk to when you have problems with … ? What do you think X will do when you see him next time? How will you deal with that? That will not be easy to do. I guess you have a choice. Have you gone through your “conflict cycle” before? What happened? What are the different ways you can break this cycle? It is easier to learn coping skills than to change your attitude. Let’s discuss this. It sounds to me that you have the right idea, but the wrong behavior. If you do ..., then what do you think is likely to occur? If you make the changes you plan, what do you think the consequences will be? If you can do X, what do you think people will say (do)? When you start to do X, who do you think will first notice the changes? What will they see and hear? When you start to use your coping skills, how will that make you feel? Do you know the penalty for not X? What happens as a result of your getting angry in that way? How do you think things would turn out if you did X instead of Y? The next time he starts to X, what are you going to do differently so you won't get into trouble (so you can stay in charge of yourself, be in control, not allow someone else to get you into trouble, disappoint them so they can’t set you up)? Let’s write out the decisions you can make and the list of benefits you will receive. How might you avoid this type of conflict in the future? If you did that, what would be some of the consequences? What will you do if ... ? What if he doesn't listen ... ? What if she tells you ... ? What will be different this time as compared to times in the past when you had to deal with ... ? Do you think they will (trust you, give you another chance)? It will be hard to say "no" to a friend when he tries to X. What will you do differently this time? The next time they tell you to do Y, you may feel just as angry. What will happen then? Do you think that you can pull it off when (even if) ... ? And when things don't go the way you expect and it upsets you, what will you do then? Do you think he will be X? And what if ... ? How can you remind yourself to ... ? When you go back into the classroom (ward), you can remember just how well you did it here practicing with me. Each time that trouble comes up again, remember that you now know how to handle your anger, like you did when we were working together. Are you ready to …? I have noticed you are really good at making some people afraid of you. When did you learn this? Is there a particular person that you learned this from? How does this learned anger get in the way of you doing Y? Now that you know this, how can you use this information to control your anger? Which of the skills we talked about will you be able to use in your real life situation (in your everyday experience)? I am impressed with the way you can describe what happened and why it happened. You were able to tell it clearly and without getting angry. That is a calm way to let someone know you understand the rules. That is a productive way to handle problems. When you can talk to people about what is on your mind, feelings don't get out of control. Everybody wins! That is a sign of maturity to face up to the consequences of your behavior. I see so much self-control in your approach. You have learned so much that you can now teach it to others. That sounds like an idea that is worth trying. Good idea. Boys who are angry usually can't stop and think and plan (or hear what others have to say). Good job! Today you (specify behavior – told yourself to …, took a time out, walked away, ignored, asserted yourself, etc.). This is a big step. Well done, you handled your disappointment without getting upset! You have shown that you have matured. Instead of fighting, you did X. You told yourself that it just wasn't worth it. You are showing that you understand a better way to handle things. You have made a lot of progress. When you go back to your classroom, what will you have to tell others about what we did here together? Remember everybody has problems, but not everyone knows how to fix them. It isn't easy to accept consequences when you thought you were right (when you thought you were acting in a responsible fashion). I noticed how you were able to control yourself even when others were losing it. Well done! You are now beginning to think more clearly about your options. I am impressed that you figured this out on your own. Most students your age don't know that their feelings at home can cause problems at school, and vice versa. How did you figure this out? Usually, I don't get to this part of the discussion until much later. When you are out of control like this, it tells me something is really bothering you. But when you use your words to tell me how you feel (what is bothering you), then your mature self is coming out. There is a part of you that X, and another part that is able to take charge. This shows that you had more self-control than you realized you did. You have a real ability to read people, stay cool under pressure … be “street smart.” You are a good psychologist. You are able to figure things out. How did you get others to trust you (follow your leadership) at such a young age? You have learned a lot today! Let’s review what you did that was helpful. Tell me in your own words what you need to do if there is a problem. Tell me the steps that you can use to stay out of trouble and what you can do to practice your coping skills. How can you make these techniques your own? How did you get so good at …? Why is it important for you to stay out of trouble? With whom else can you share what you have learned? Are you saying you want to do X? What are the skills you will need to …? Do you think you can teach what you have learned to someone else? Who? What will you tell others about how you worked on your problems? What have you learned that is important that you can share with others? Are you saying that in spite of X, you can do Y? We can fix problems, if we talk about them. Words are better than fists to solve a problem. We can figure out a way to fix things so you will feel better. When you go back to your classroom, what will the other students be able to learn from you? What will you tell them you learned? The reason for this rule is … Does that make sense? How can you follow the rule, even if you don’t like it? How is what you are feeling here apply to other situations? How did you come to the decision to do X instead of Y? So all this meant … Is that correct? Over four-fifths of the largest U.S. cities (N = 79) report having serious gang problems. Gang members are three times (3x) more likely to be violent than non-gang members. In the U.S. during the past decade, 11,000 individuals have been murdered by gang members and 15,000 individuals have been seriously injured. Male gang members outnumber female gang members 20 to 1; however, female gangs are a fast growing problem. Of juvenile homicides, 55% involve friends and acquaintances; only 30% involve assaults on strangers. Many gang members are totally desensitized to violence and care little or nothing about their victims. Gang members have a low rate of participation in school activities. Rarely do gang members bond or identify with a significant adult at school. Much of gang activity is driven by “control and power issues” (of members, neighborhoods and turf) and by manipulation of others’ fears of them. A “code of the streets” often guides what is perceived as provocations (namely, “being dissed,” or disrespected in front of peers). Incentives for gang membership include recognition, peer status, social support, shared values, family tradition or history, protection and perceived opportunity. Incarceration and suppression strategies alone are insufficient to solve the U.S. gang problem. Community organizations, outreach programs and vocational training programs are also required to effectively treat and prevent gang problems. Early intervention (as early as the first grade) is needed to divert children from later gang involvement. Schools need to create partnerships with families, police, churches, and various social service agencies in order to develop a socially cohesive front against gangs. There is a need for ongoing-shared information and coordinated effort. For example, see description below on how to address gangs in a co-coordinated, community-based approach. 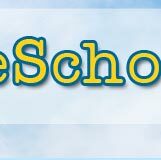 Schools need to be proactive in providing leadership by implementing after-school recreation and leisure activities for students; fostering home-school communication; fostering adult, school and peer mentoring programs – nurturing school-connectedness; teaching multicultural sensitivity to combat “hate” crimes; developing reasonable and enforceable school dress codes; avoiding congregating “high risk” students in self-contained classrooms, schools and activities. Antisocial violent youth often attend overcrowded schools where there is a high density of students like themselves. Confront and immediately remove (within 12 hours) all graffiti in school buildings. Develop a gang prevention plan that incorporates family and community involvement. Walker, H. M., Ramsey, E., & Gresham, F. M. (2004). Antisocial behavior in school: evidence-based practices. Belmont, CA: Wadsworth/Thomas Learning. 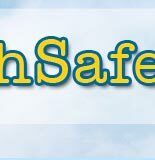 to school suspensions and zero tolerance programs-see www.teachsafeschools.org). Using empirically based programs such as multi-systemic interventions (Henggeler et.al., 1992) and Functional Family-based interventions (Alexander et.al., 2000). For a description of additional evidence-based prevention programs see Weisz, Sandler, Durlak and Anton (2005). The final person in the school chain is the School Superintendent.The leadership that he or she evidences in the area of school safety will greatly influence the success of any interventions. Imagine that a School Superintendent sent out the following letter to all principals and then followed up with an annual “State of a School District” address to all educators summarizing the results and the intended actions. As you consider the questions raised in the School Superintendent’s letter, imagine if the U.S. Secretary of Education sent a letter like this to School Superintendents asking them, in turn, to send it to 114,000 principals in U.S. schools. As educators, we are committed to providing a safe and nurturing school environment for all of our students. I am writing with a request to have you share information on what your school is now doing to create a safe and successful school, with a more inviting learning environment, that reduces violence. I will summarize your responses and provide specific feedback in the form of an "Annual State of Our School District" report. Kindly answer these questions by X date, so I can provide feedback in a timely fashion. I welcome your reactions to this request. P.S. I am working on creating an Internet Chatline where principals can dialogue about these issues and discuss their schools' programs. How serious of a problem is school violence in your school? (Please give examples – incidence of school fighting; evidence of bullying, harassment, gangs; attacks on teachers; calls to police; truancy, suspensions, expulsions; and the like). How does your school currently assess the level of school violence? concerning potentially high-risk students with a follow-through intervention program? 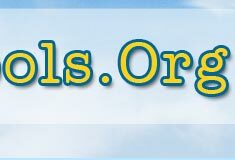 at the universal school-wide level (e.g., an anti-bullying program, peer-based interventions such as Bystander Intervention Training, creation of school policies and procedures such as a School Mission Statement. Code of Conduct, Playground Interventions)? at the secondary prevention level with selected high-risk students (e.g., specific skills training programs, mentoring programs, Individual Educational Plans that involve parents, gang abatement program)? at the tertiary level with the most high-risk indicated students (e.g., wrap around services that involve the students’ families and outside agencies)? curriculum and programs in order to increase the likelihood of transfer or generalization of your efforts? What are you doing in terms of ongoing staff development? Thank you for your help in answering these questions. When violence occurs in schools or in related areas (to and from schools, or on nearby streets), members of the media focus on the possible factors that contribute to the violent episodes. a “niche” with prosocial peers and adults. 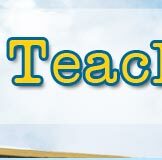 In the same way that the FAA has an investigative checklist to conduct a review following an airplane crash, educators (with some prodding from journalists and the media) can develop a way to help ascertain the “lessons to be learned from such violent episodes.” Such analyses of violent incidents should ascertain what school-wide, classroom curriculum-based, and individual and family based interventions have or have not been implemented. One further example illustrates how an inquisitive and responsible reporter might cover a story on school bullying. When a school has implemented a program (e.g., Teaching the Fourth R- relationships using videotape scenes with students), the curious reporter should also inquire about what other core elements of a bullying prevention program the school has implemented. (See the checklist of core elements of a bullying prevention program, and actively determine which core elements the school has included, besides the student videotape training program.) The reporter's description of this one program that the school is advocating is not sufficient. "It misses the rest of the story".